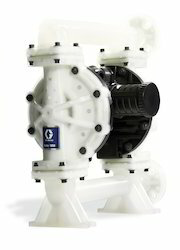 Graco combines industry-leading technology from our AODD pumps with the efficiency of an electric drive to deliver one of the most energy efficient and technologically advanced double diaphragm pumps on the market. Get the benefits of a seal-less pump design AND the efficiency of an electric drive in one pump! Our company has gained expertise in the field of the manufacture and export of Hydra Clean Pressure Washer Series. These are strong and powerful application which is available with an accumulator and chemical injector. These can be use with cold or hot water up to 930° C and have flow rate of Max 33 LPM. These have great technical support and are manufactured using latest techniques. Last but not the least these are available at competitive prices. 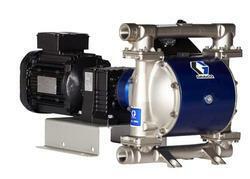 These are developed and designed considering in mind the latest industry guidelines related to these pumps. Our company is very well known in the field of manufacture and export of Sanitary Air Operated Double Diaphragm Pump. 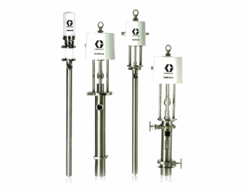 These pumps are highly used in many industries such as food, and chemical industries. These pumps have high technical configurations. These are easy to install and used in various applications. Last but not the least these are available at cost effective prices to suit the pocket requirement of our leading customers. 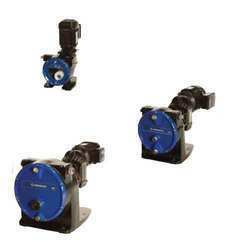 Air Operated Double Diaphragm Pumps (AODD) - also known as AODD pumps, incorporate compressed air and diaphragms to move fluid through a pumping system. Our company is coveted in the domain of manufacturing and supplying of Piston. 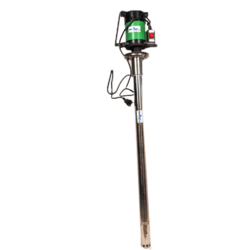 These Piston Drum Pump Series offer numerous advantages to our beloved clients and are manufactured using the advanced machinery and technology. 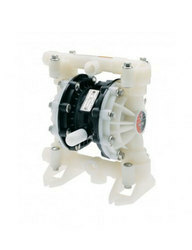 These pumps consist of o ring seal design and the casing of these pump series is made from aluminium or steel. 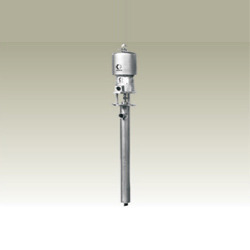 Piston Pumps are used to move and pressurize fluid using one or more reciprocating pistons, which are normally driven by an electric motor through a crankshaft and connecting rod. 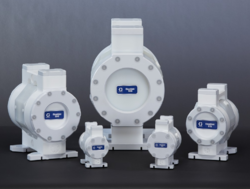 Double Diaphragm Pumps - a type of positive displacement pumps that use flexible surfaces to expand and contract a pumping chamber to move fluid. They use a diaphragm on each side of the pumping chamber. 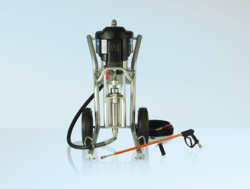 Graco’s positive displacement hose pumps rotate a full 360-degrees. Because they use a single roller to compress the hose once per revolution, your hoses last longer so you haveless maintenance and downtime. Several hose diameter options are available with in the same housing. This gives you greater flexibility and means you can use your EP Series pump for a wide variety of applications. Owing to our experienced and highly qualified team of professionals, we are providing a wide range of Pump with Agitator Dispensing Package Series. 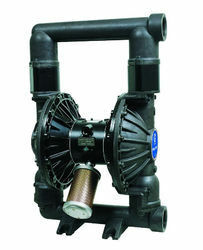 Our given pump have maximum flow rate of 50 LPM. 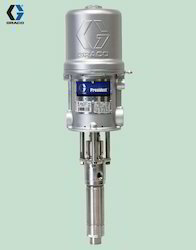 Our competent professionals manufacture this pump by using the quality approved material and modern techniques. The pump offered by us as a great demanded in the market due to its performance & durability. Our company is widely appreciated in the domain of manufacturing and distributing of Sanitary Piston Series Pump. These have numerous industrial applications such as these could be used for the purpose of transferring food concrete, hair product, lotions, etc. In addition to this, these piston pump series are approved by the UDSA. Our client can avail these piston pump series in double ball and priming piston designs. Our organization is renowned as an affluent enterprise, that offer a wide assortment of Sanitary Piston Pump Unloading Package Series which have great flow rates of Max 87 LPM. Broadly use for tight packaging oil based fluids; the offered piston pump is designed by our professionals, acquiring vast industry-experience in this domain. This piston pump is available in various customized options as per needs of our clients.